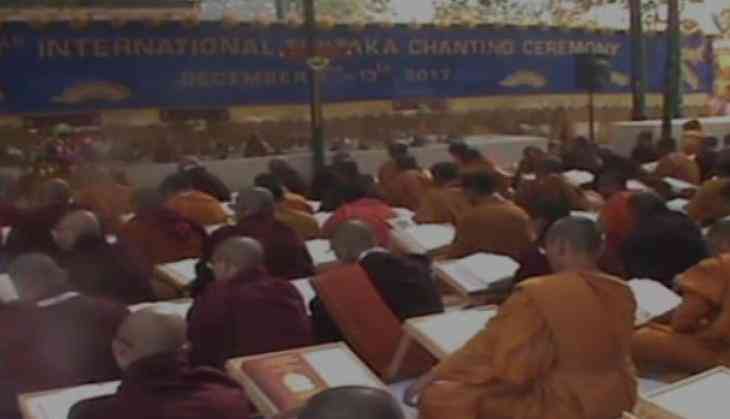 Dressed in their traditional attire, thousands of monks and devotees from across the globe visited the Mahabodhi Temple in Bodh Gaya to attend the International Tripitaka Chanting (a Buddhist ritual). The monks and devotees from nearly 15 countries chanted hymns for world peace in the temple. The 12th ten-day International Tripitaka Chanting will conclude tomorrow. The prayers were first held in 2006 with around 250 devotees. During the ceremony, the Buddhist monks chant teachings of Lord Buddha under the sacred Bodhi Tree.